The photos on these pages tell a different story than what would have been told January 12, 2010. At that time an earthquake, with a magnitude of 7.0 on the Richter scale, struck Haiti with devastating force. Statistically speaking, Haiti was already considered the poorest country in the Western Hemisphere. Several government leaders perished in the quake - dealing a disastrous blow to the government’s infrastructure. A glaring need for direction was evident on a long-term, local basis; as these were not problems that could be fixed simply by throwing money at them. Thankfully, there were already some organizations on the grounds that were poised to mitigate this challenge. Mission of Hope, Haiti (MOH), was one such organization. More help than ever was immediately required to carry out their vision: “As an organization following Jesus Christ, Mission of Hope exists to bring life transformation to every man, woman, and child in Haiti. We desire to serve the nation of Haiti, and see lives changed.” Aside from the donated supplies and money available, caring people were needed to step up and fill the void. Ashley has spent a total of 36 weeks of her life, between (4) week-long mission trips and (2) months-long internships (since 2010), working with the Haitian people who are served by the MOH organization. Obstacles had to be overcome no matter how many times she visited Haiti but the Lord has provided “sunshine through the clouds.” In addition to acclimating to the tropical climate, a language barrier (most of the population speaks either French or Creole) exists. Ashley, through the help of other MOH interns, Haitian locals, and a gifted English- Creole dictionary, has been able to progress toward a mutual, basic understanding of the language and customs of the Haitians she worked alongside of. Her roles have been different for each trip and she has predictably worked with new people each time as well. 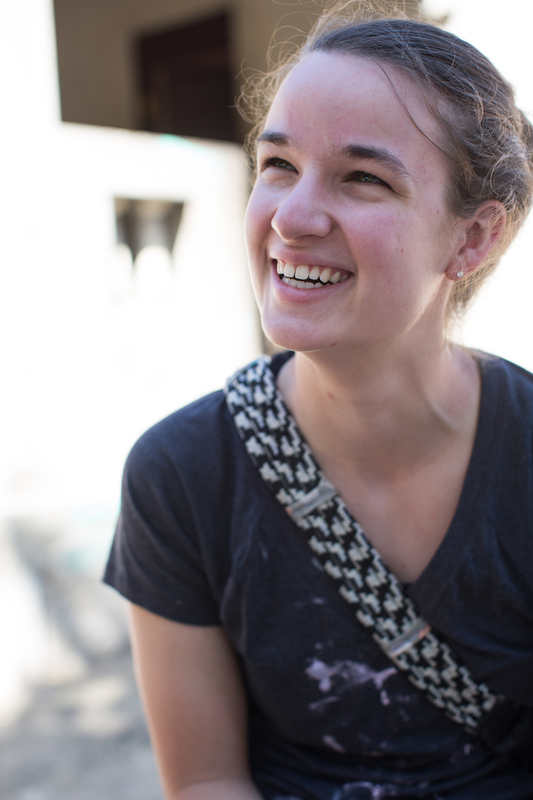 Her most recent role, as a kitchen intern over a 3-month period, provided her with a lifetime of memories and friendships in Christ. For anyone who has spent a great deal of time in the kitchen, it should come as no surprise that she has made quite a few intimate friendships along the way; even visiting the homes and families of some of the ladies she worked with. For this trip she was located on the Bercy Campus, which is located on one of the 11 villages MOH serves. This campus, a fenced-in area near the Caribbean Sea, provides beautiful sunrises and sunsets (see photo) and is also the site of a “Grace Home,” which provides medical, spiritual, and daily care to 50 elderly residents. Despite the proximity to the Atlantic Ocean, swimming was strongly discouraged; as the beach was unfit for swimming due to the fact that trash dumped in the water from Port-au-Prince regularly finds its way to Bercy’s shores. Her day usually began at 5:45 a.m. and ended around 10 p.m. The goal was to teach basic sanitation and cooking skills to the Haitian women staffing the kitchen. The main dishes prepared consisted of rice & beans, fried plantains, and desserts (cakes, cupcakes, fruit tarts, and cookies). Supplies for these dishes were acquired at the local market by the Haitian “kitchen boss.” On this trip Ashley was able to participate in on/off-site vacation bible school, soccer matches with other interns and village champions, and weekly visits to the villages. One such visit took her, via bus, to the village of Cabaret, where she was able to walk through a voodoo temple (“Hounfour”), speak with the priest (“Houngan”), and pray for him.